Earlier this month, Apple CEO Tim Cook sat down with Recode’s Kara Swisher to discuss some of the nation’s most urgent issues: job creation and education. 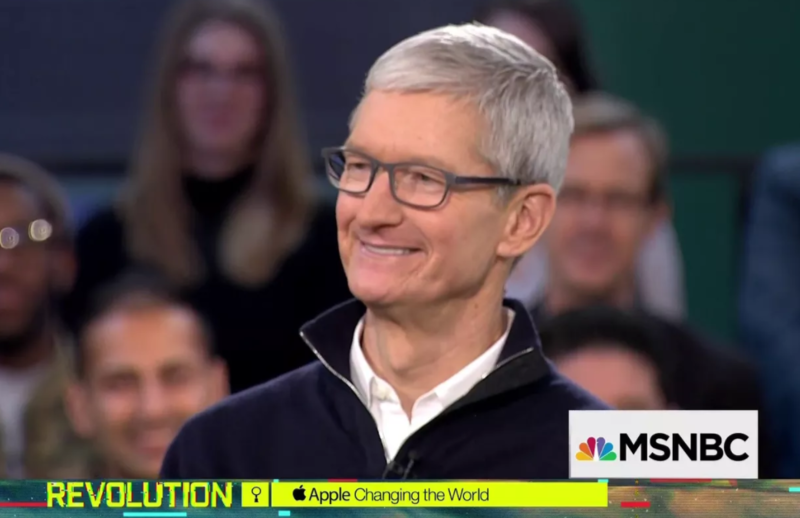 We tuned in to hear what one of the most influential CEOs in the world had to say about Apple’s social responsibility to promote and spread access to coding education for students across the country. Technology alone does not improve learning outcomes for students, it’s the way technology engages students. When students are engaged, they develop learner agency. Most teachers want some level of coding for their classes, but many don’t know where to start. Just a few months ago, Cook spoke with a Toronto teacher who integrates coding into her math class. She found that students’ learning was not only much faster, but also deeper with coding as a part of the curriculum. Cook also pointed out that we’ve had the same classroom setup for 40 years – perhaps it’s time to incorporate new tech in our teaching. Rather than standing on the sidelines and blaming teachers for learning outcomes, we can equip them with digital tools that amplify their performance and deeply improve the experience for children. Education is a great equalizer. Apple just launched an initiative called Everyone Can Create, which aims to strengthen learning and creativity by implementing technology in the classroom. Cook argues (and we agree) that education is a great equalizer: When a child has access to a good education, his or her chance of success skyrockets. No matter the child’s gender, race, economic background or geography, children deserve the same chance of success. Coding skills also give children another way to express themselves with a universal language. Cook insists that he wants kids to be “creators, not merely consumers.” The Everyone Can Create initiative aims to inspire kids beyond consumption – to get them to write a book, make a movie, invent. We need our educational model to reflect this drive for creative thinking. Tim Cook tells us that technology can improve student learning, and education is the key to lifelong success. If we put these pieces together, all signs point to coding. While education is certainly a great equalizer, it is not the great equalizer. Another critical component to leveling the playing field for children across zip codes is technology. As Cook explains, a healthy mix of classroom tech combined with a coding curriculum will not only deepen their understanding of subject matter, but prepare them for a career in STEM down the road. RoboKind shares Cook’s sense of urgency in implementing new tech in the classrooms, and we aim to make the transition as seamless as possible. Last month we sent Jett off to school, giving students the excitement of programming their own facially expressive, humanoid coding robot. Like Cook, we believe coding is a strong base for our country’s future – not to turn students into computer scientists, but to instill problem solving and critical thinking skills at an early age. Read about the three lessons Jett learned on the first day of school – and why they matter.